It’s fitting that I’m writing this sitting on the very same couch where I hit publish on my very first blog post, two years and three months ago. I was processing the next chapter in my life in that blog post, on that couch. Tim and I were newly married, a few hours off from driving away from my hometown, jobs we enjoyed, and people we loved. That three-day drive took us from Southern California to Coeur d’Alene, Idaho. 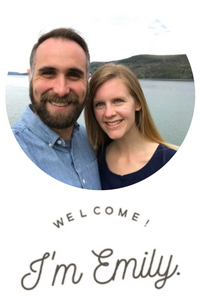 During the last two years, we rented our first place together, Tim started his first full-time ministry job, we bought our first house, and had our first child. And, this couch moved with my parents from California to New York, where they, now, all permanently reside. I’m sitting on that couch once again, processing the next chapter in my life. Our possessions are on a van somewhere, headed East, and we are spending time with my family in NY before moving into our new place in… Pennsylvania! The last month’s activities (like selling a car, selling a house, saying goodbye, and packing with a mobile baby) haven’t left much room for processing, but any spare contemplative moments have been dedicated to gratitude. I replay the ways God has so obviously gone before us in this relocation and I am just thankful. God has proven a trustworthy author thus far, so, in faith, the pages continue to turn. A new chapter for Team Gardner begins in December!